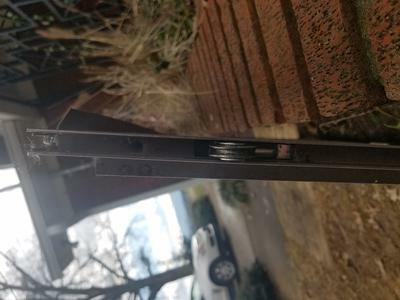 Continue reading "Patio Door Wont Lock"
Continue reading "Help with measuring and ordering spline"
Continue reading "Piston Pin Pops Out"
Continue reading "How to fix a storm door kick panel"
I see a post above asking what kind of T spline is needed for a Larson screen door. You asked him to send a photo, but I can't see whether that was done. Continue reading "T spline for Larson all screen doors?" 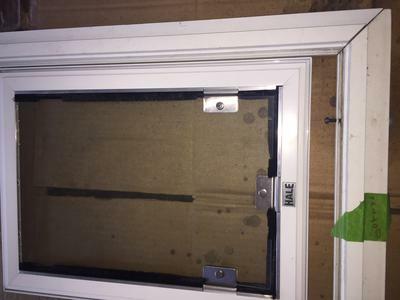 Continue reading "Broken side bolt"
Continue reading "E2014 Adjustment screw not working"
Continue reading "patio door handle #s3005 left for vanguard locks"
Mounting a pet door in the lower corner of my sliding screen. In the way of mounting there is a screw (see photo) that is above the bottom track wheel. Continue reading "Bottom Roller Adjuster Screw?" Continue reading "Old Screen door rollers"